Three stories happening in New York. The first is about a painter who falls in love with his apprentices. The second, a fantasy story about a little rich girl who tries to reconciliate her parents. 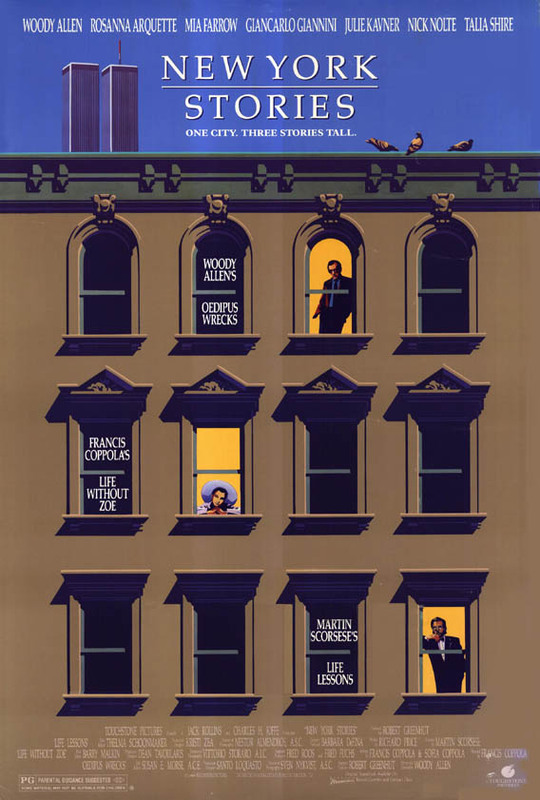 The third is a Woody Allen comedy about a jew who cannot get rid of his mother, even after her death. Woody Allen is a genius This was one of the most smart and hilarious movies that Woody Allen has made.The thought of your mother going up in the sky is strange but smart. It makes you want to think that if you went up in the sky then what would you say about your son or daughter.This is absolutely outstanding movie that you should see it at all costs.